Planning an all-night party and worried about streaming music? Activate Vodafone SuperNightand stream music worry free at just Rs 6* per hour. Friends coming over to chill all night? Stream movies non-stop with Vodafone SuperNight. Vodafone Indiais giving reasons to its pre-paid customers to look forward to 1am to 6 am each night. Vodafone today announced a revolutionary new product, Vodafone SuperNight for prepaid customers, enabling truly unlimited 3G/4G data usage and download for five hours, at just Rs.29*/- beginning Monday, 19 June 2017. The pack can be activated any time of the day but will be applicable only during the subsequent five hours between1 am to 6 am. Further, customers can make every night a SuperNight with unlimited repeat purchase of the Vodafone SuperNight and enjoy data at just Rs 6*/hour. The truly unlimited data offer on SuperNight can be best used to browse and download a variety of content from VODAFONE PLAY, your one window to the world of entertainment, with 150+ Live TV channels, over 14,000 movies and TV show titles and a wide range of all genres of music. The subscription to VODAFONE PLAY is free. The SuperNight packs can be purchased via digital channels as well as all retail touch points. The customers can also dial *444*4# to activate the pack. 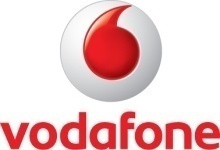 The benefits can be enjoyed when connected to Vodafone SuperNetTM. * Pricing may vary from circle to circle.